Head over to choose from one these Keychain Wristlets for ONLY $4.99 (Retail $9.99)! 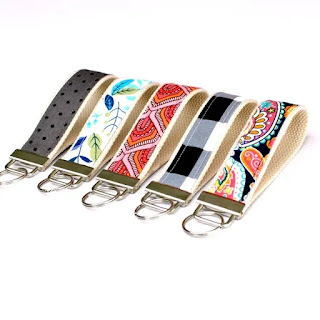 These keychain wristlets are made of soft cotton natural colored belting, so it's super comfortable on your wrist yet features a cotton designer fabric of your choice on the outside. A split ring (key ring) is included and attached for you.